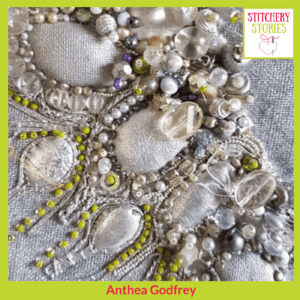 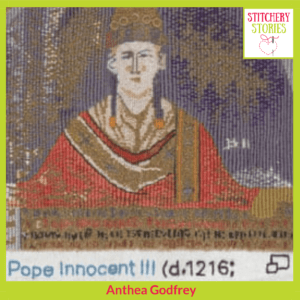 Today on the Stitchery Stories embroidery and textile art podcast, Anthea Godfrey shares her life in fabric & thread. 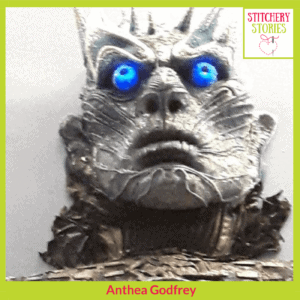 Anthea is an embroidery artist with an outstanding career in teaching, leading and supporting embroidery and textile art. 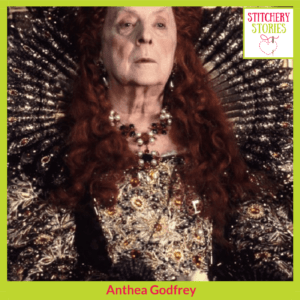 She is currently the Artistic Director of The Embroiderers’ Guild and has been instrumental in leading many fantastic projects, often on an epic scale, for the Guild, for organisations and for pubic arts projects. 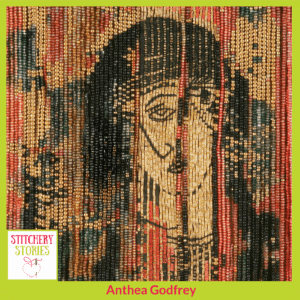 She has also worked in film, theatre, and at many levels in the textile art and embroidery education world too. 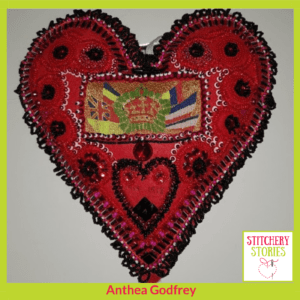 Above all else, Anthea is a passionate supporter of creativity in all its forms, and in keeping our skills alive and relevant to the next generations.